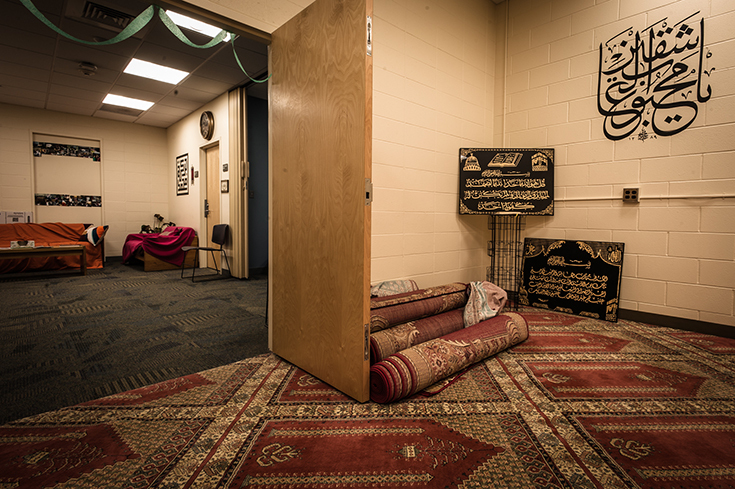 Formal worship spaces were expanded in 2006 with the creation of a dedicated Muslim Prayer Suite. (Worship previously took place in other shared campus spaces.) On Fridays, the Juma’a prayers are now held in the Muslim Prayer Space on the ground floor of the Usdan Student Center. The Prayer Space is located down stairs immediately on the left when using the Usdan East entrance.